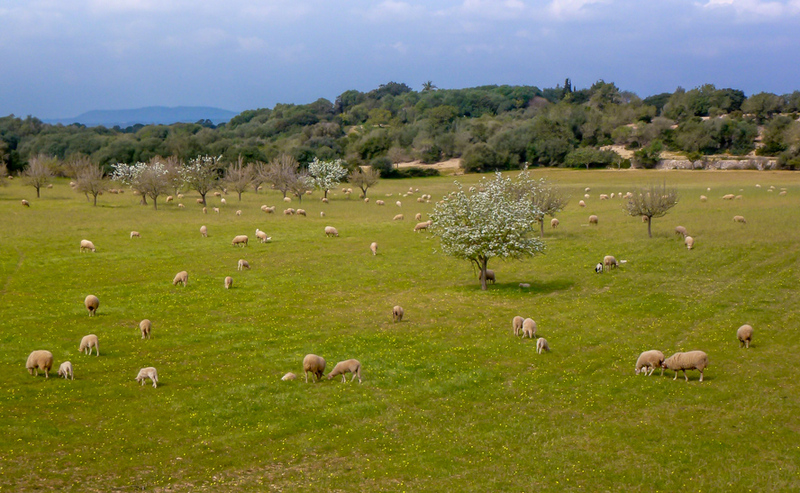 The island seems at its best when Springtime takes over from the wet and damp season of the Mediterranean Winter, when sheep start lambing in February and when fruit trees start flowering, usually in mid-March. On a day with air temperatures around 20˚ C some diehards may even feel encouraged to have their first swim of the year. Nevertheless, we had quite a bit of snow in the mountains only a week ago. The photo was taken near Cas Concos des Cavaller (Felanitx), Mallorca, Baleares, Spain. The date: March 20th, 2014.